Looking for a tree care company servicing St. Francis, MN? Are you looking for expert residential and commercial tree removal, tree trimming, disease treatment and tree planting services for your St. Michael, MN home or business? Get expert residential and commercial tree removal, tree trimming, disease treatment and tree planting services from Pioneer Tree Service for your Zimmerman, MN home or business. Oak Wilt - Are There Treatment Options? 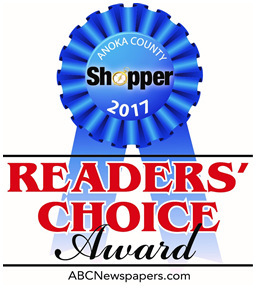 Pioneer Tree Service in Milaca, MN would like to thank the Anoka County Shopper readers for voting us the #1 Tree Service in their 2017 Readers' Choice Award poll.